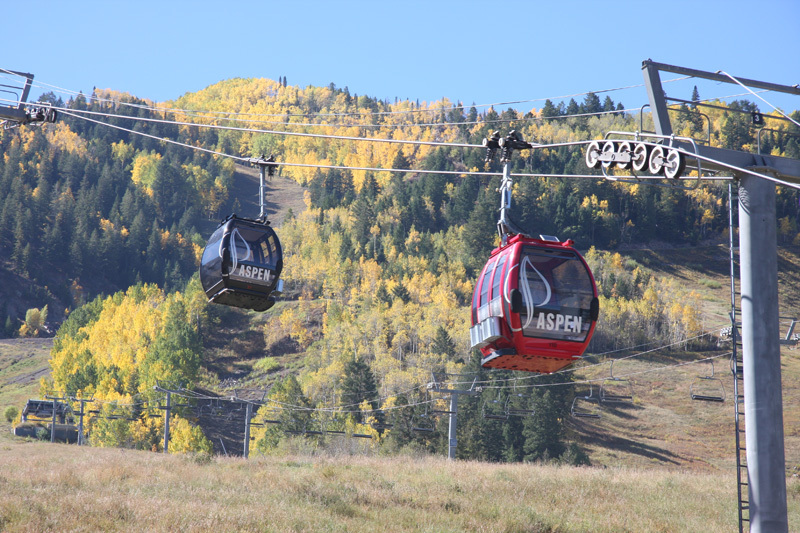 Timing a trip to Aspen at the peak of the fall colors can be tricky, but once again we were fortunate and experienced near peak color and stunning weather for a gorgeous weekend get away in late September. 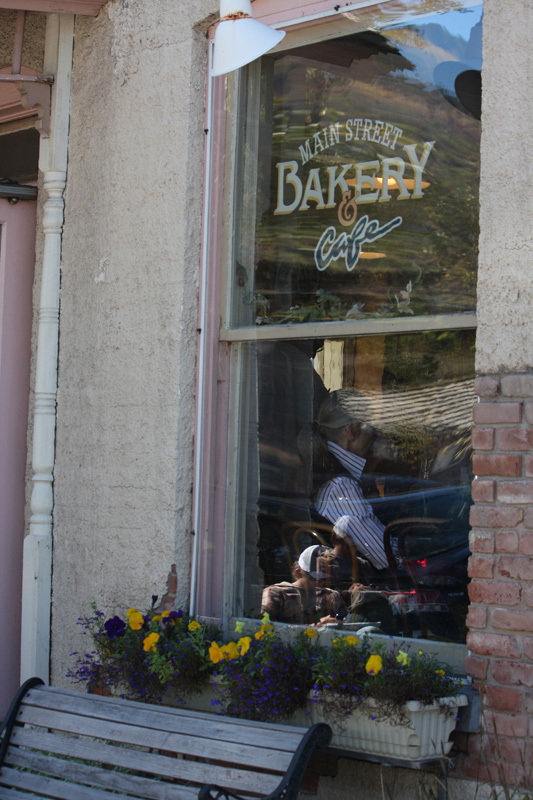 This time we were joined by our neighbors, the Halls. 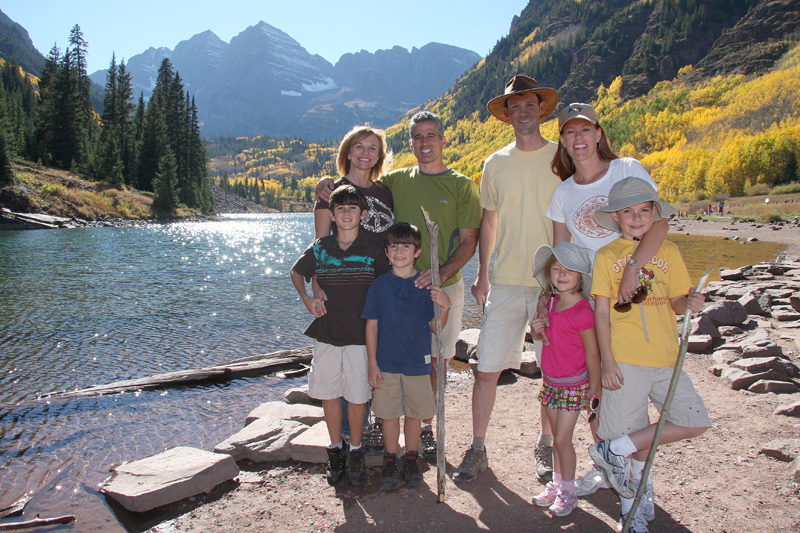 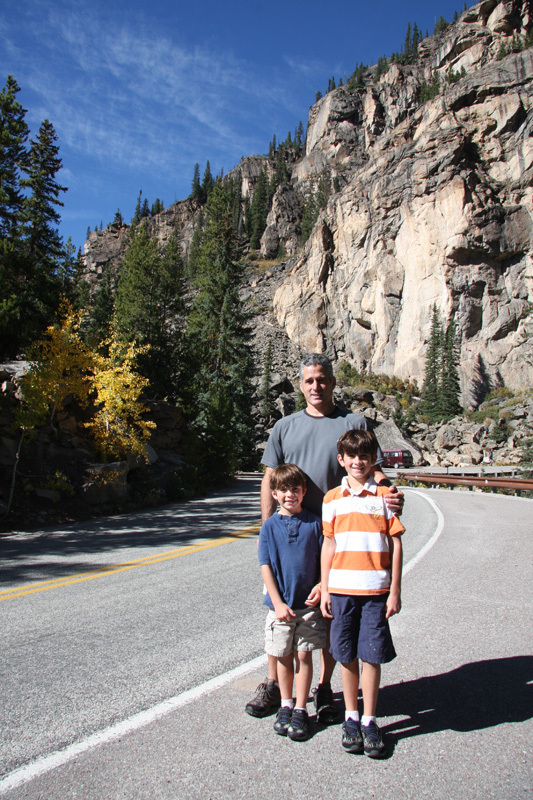 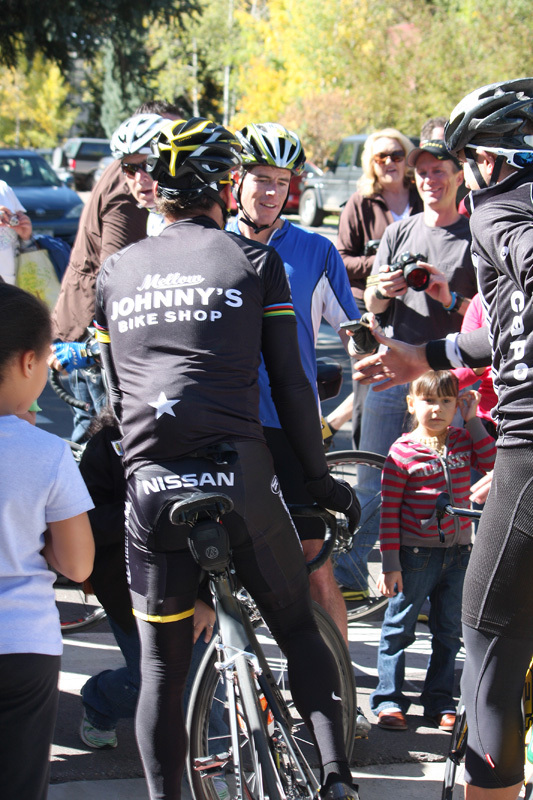 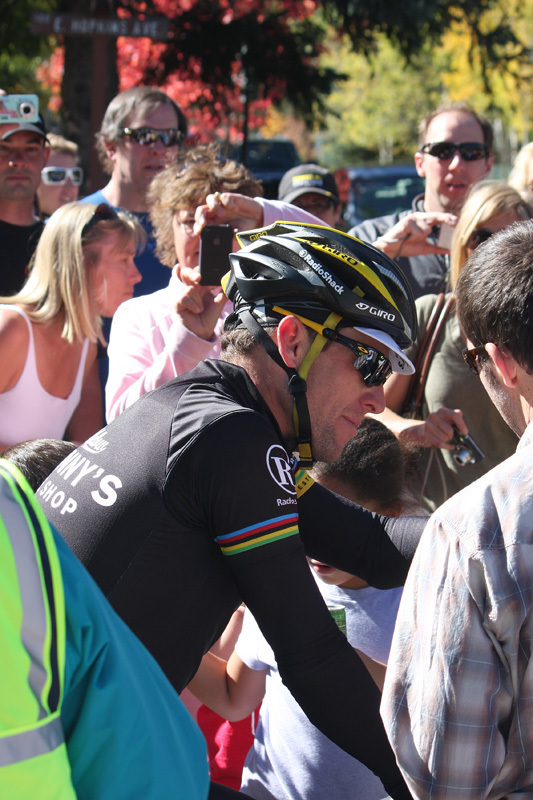 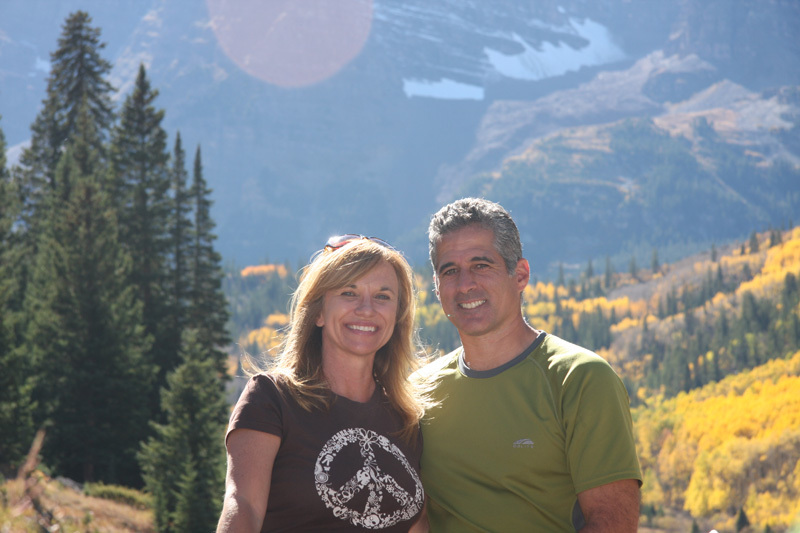 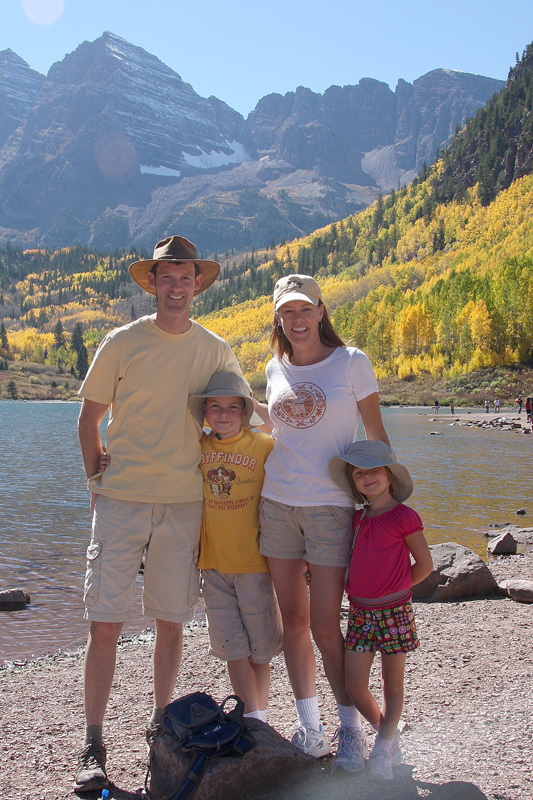 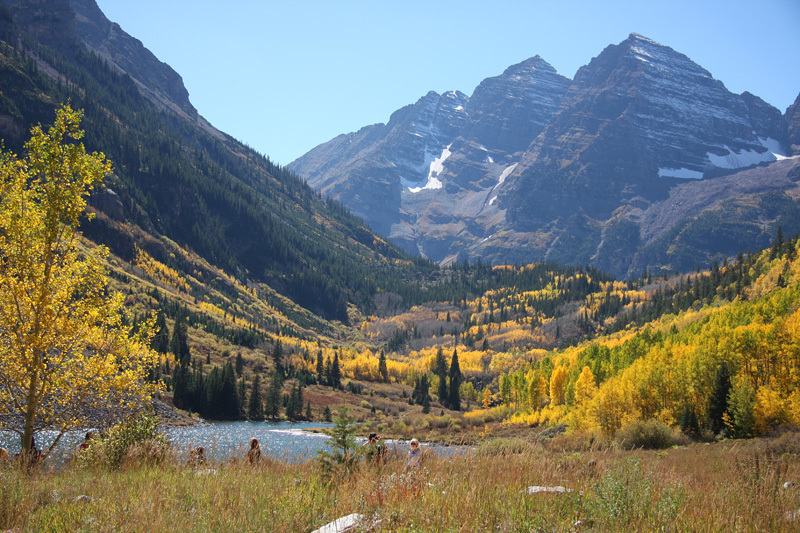 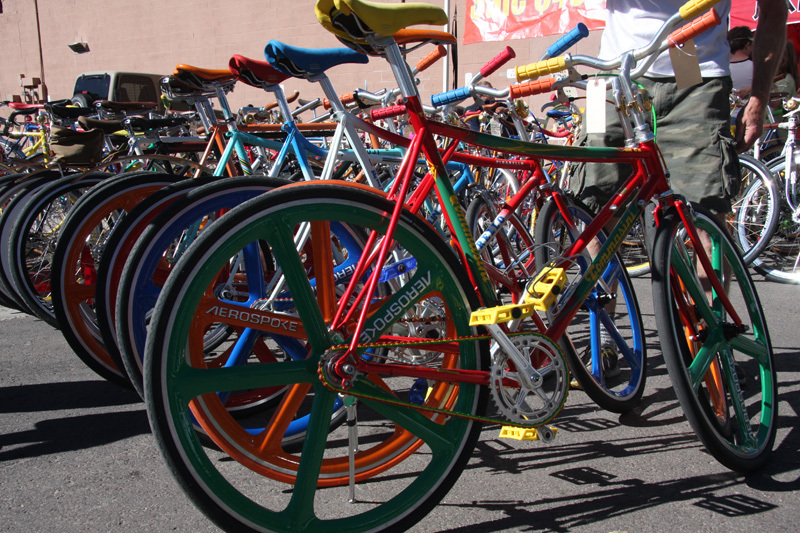 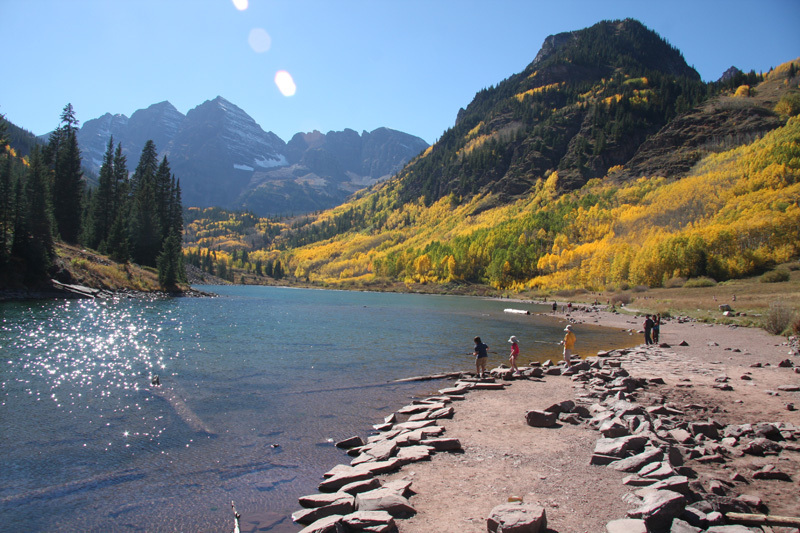 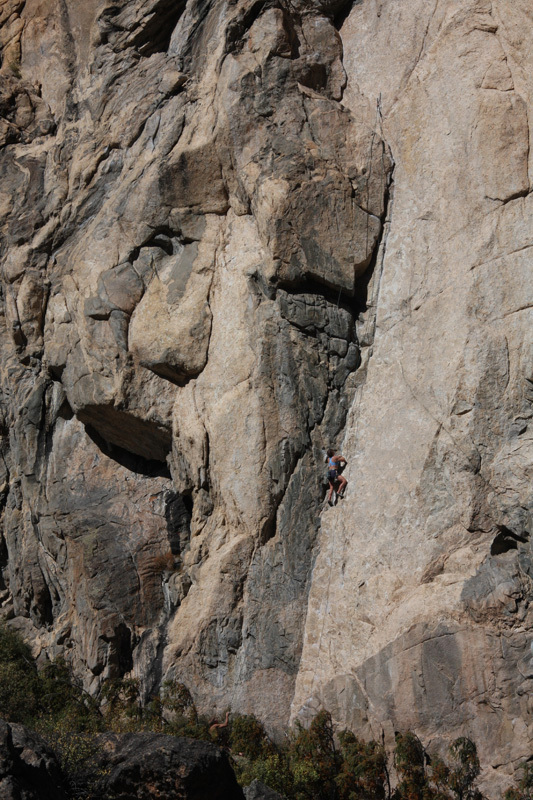 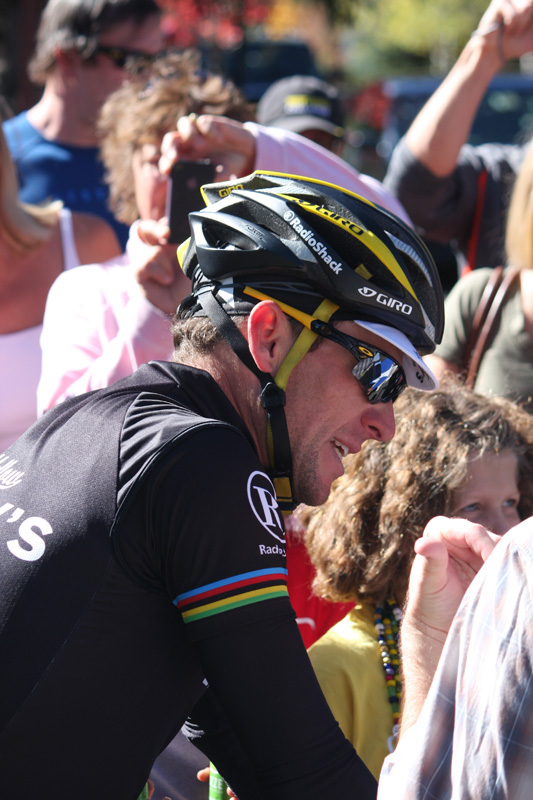 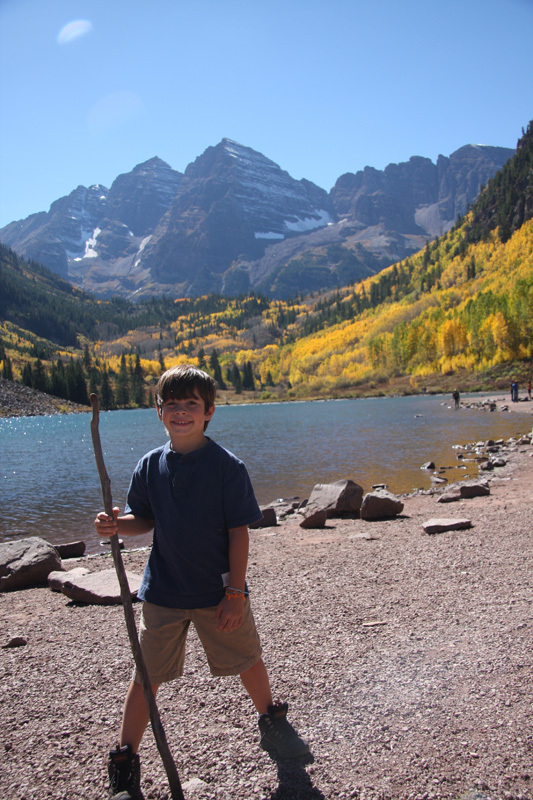 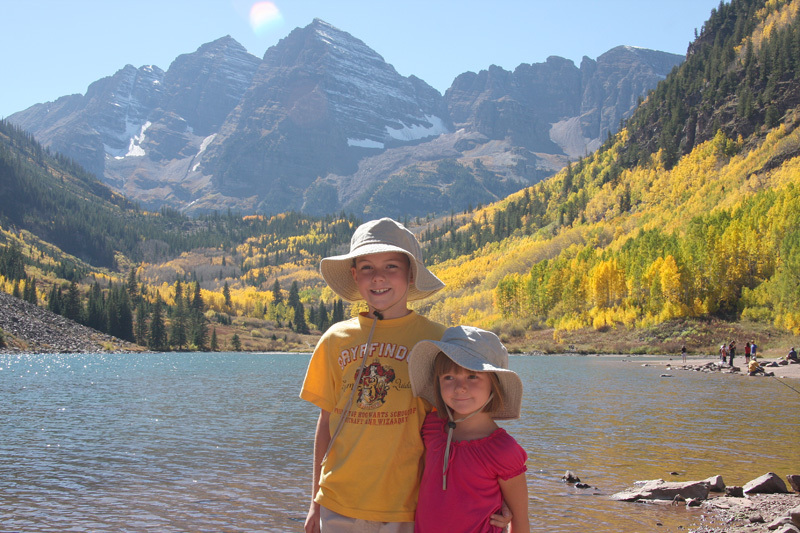 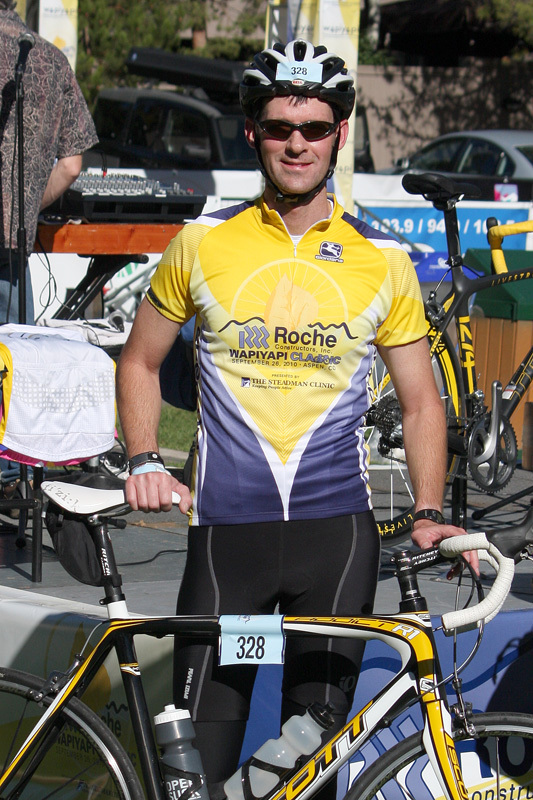 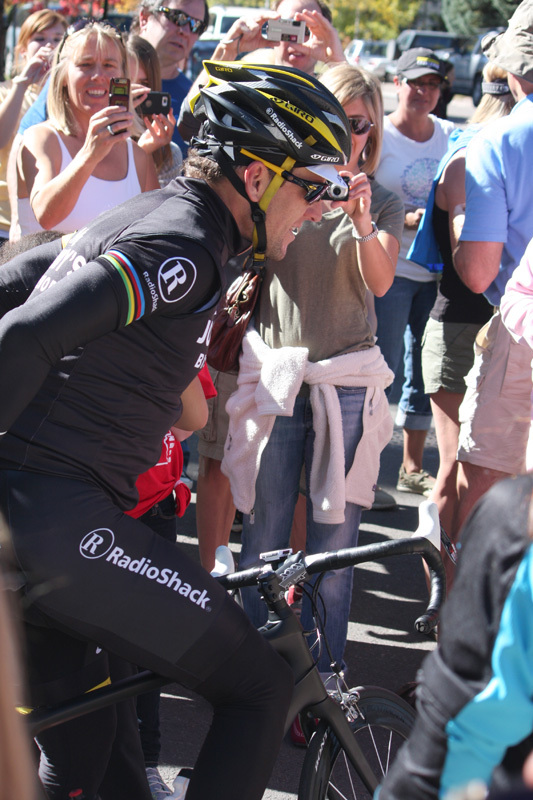 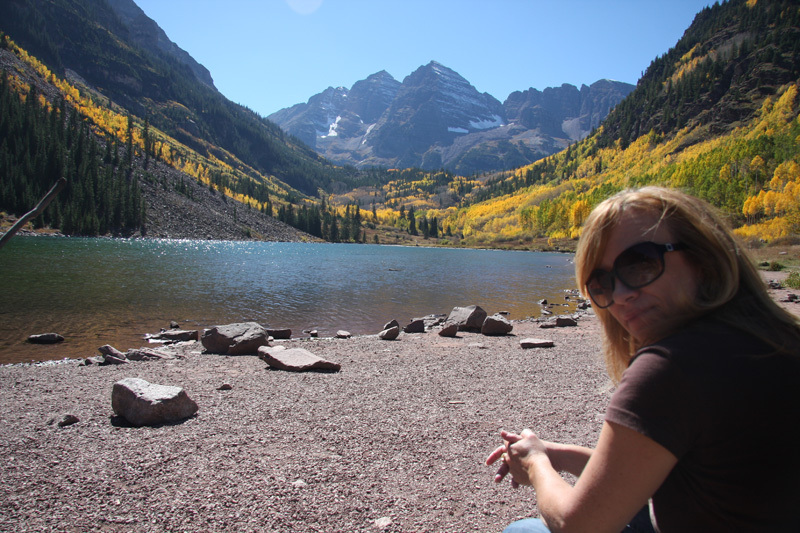 Highlights include the always spectacular Maroon Bells and a Lance Armstrong sighting. 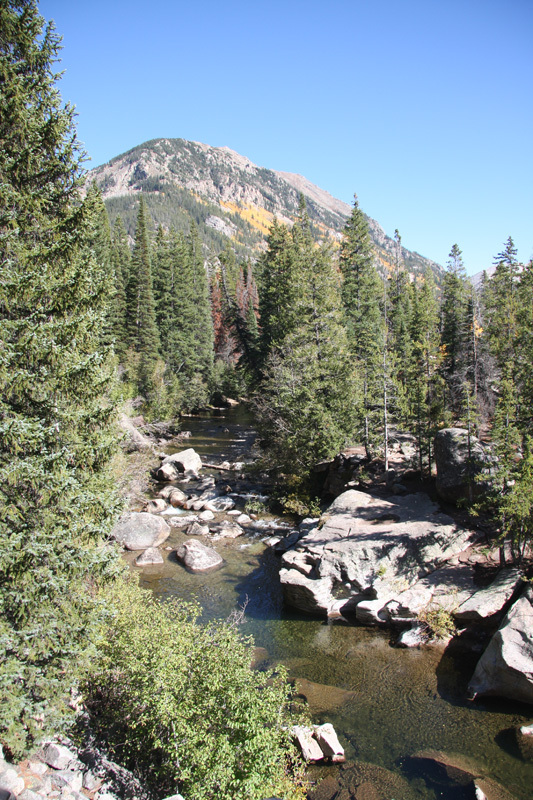 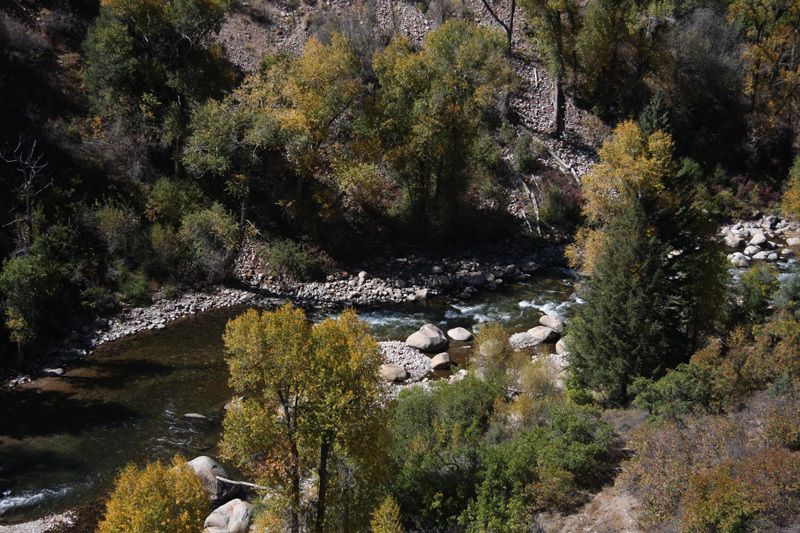 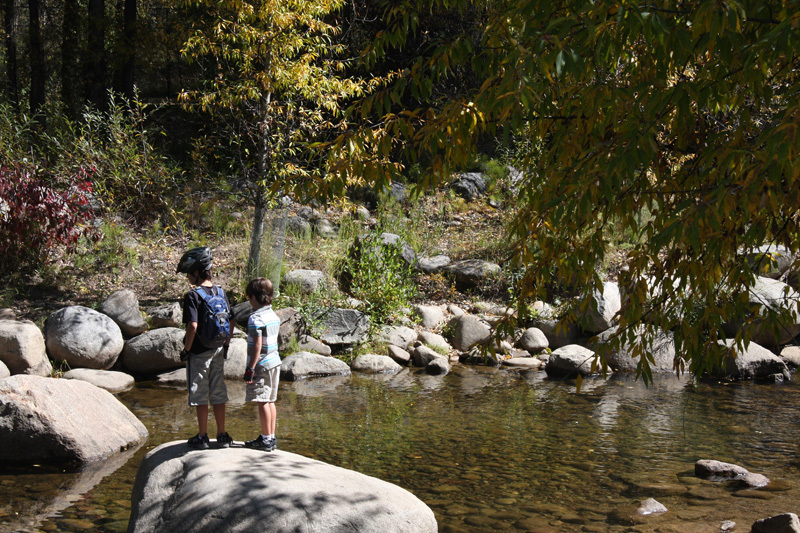 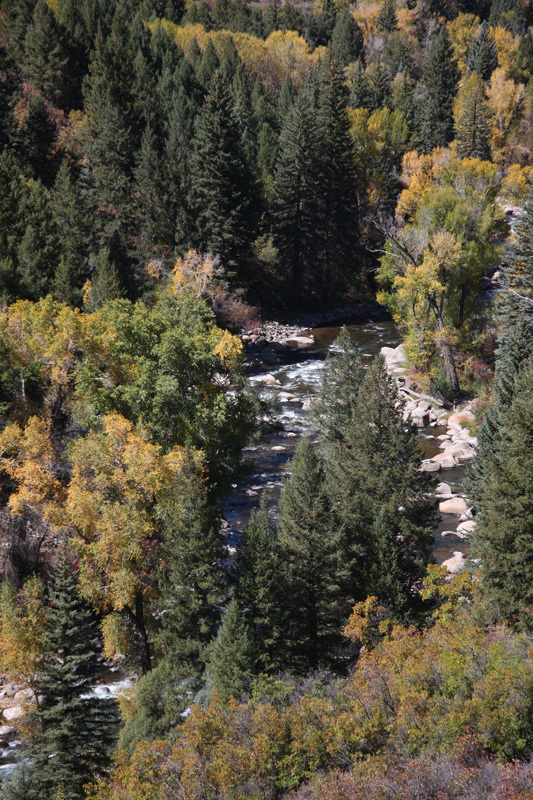 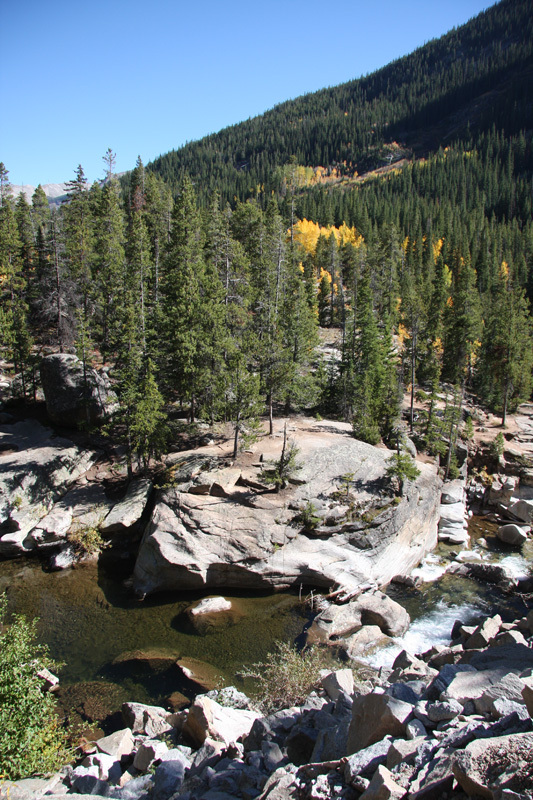 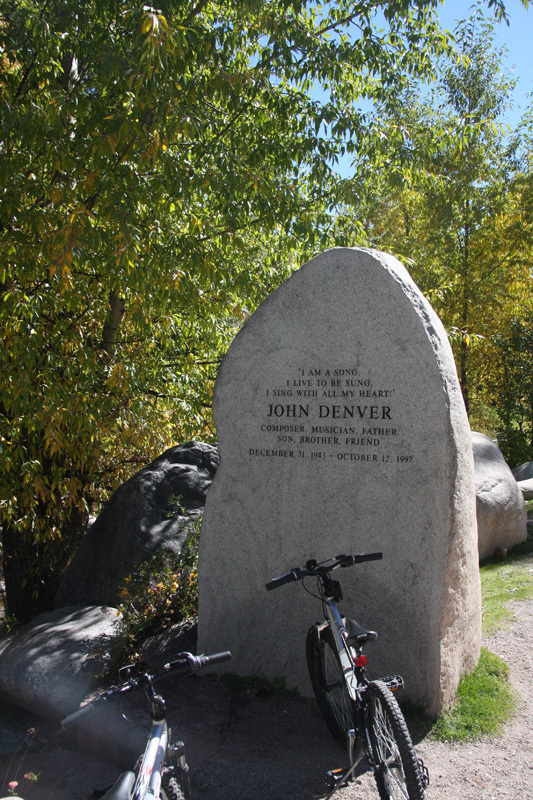 The John Denver Sanctuary and a Bike Ride to Woody Creek. 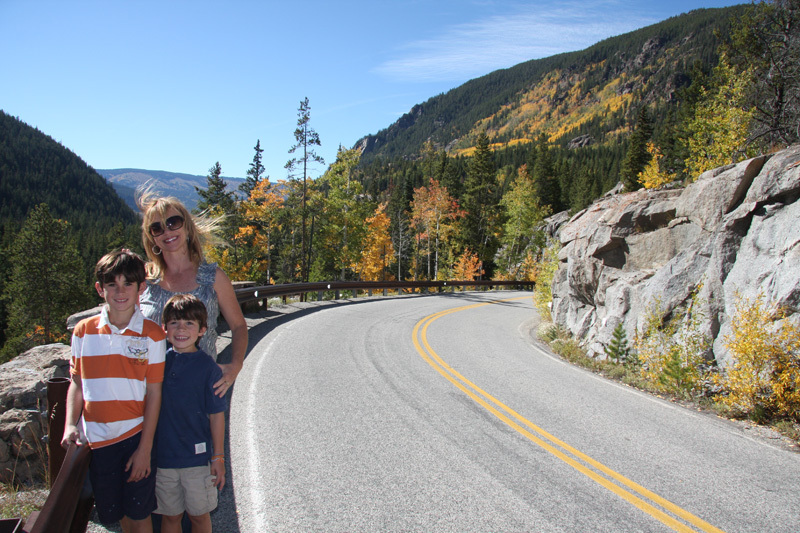 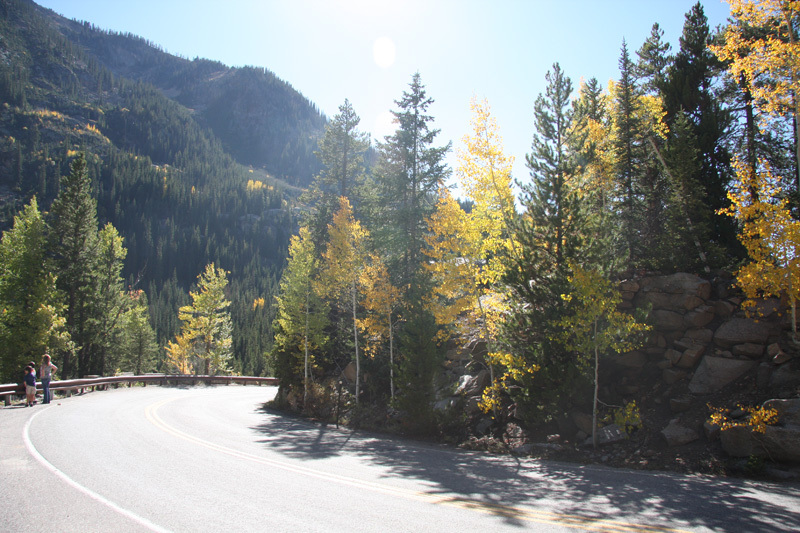 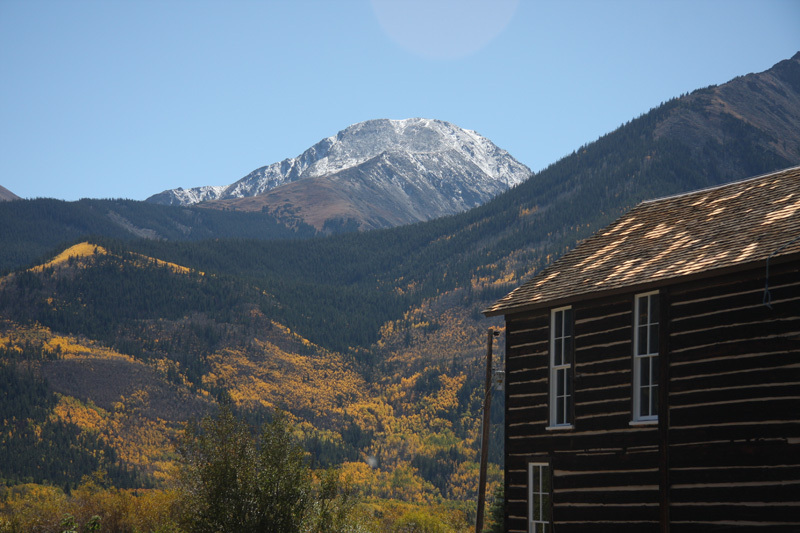 This year instead of taking I-70 to the Leadville exit, we drove the scenic route on Hwy-285 over Kenosha pass south west of Denver before looping back past Buena Vista to Hwy-82 and Aspen via spectacular Independence pass. 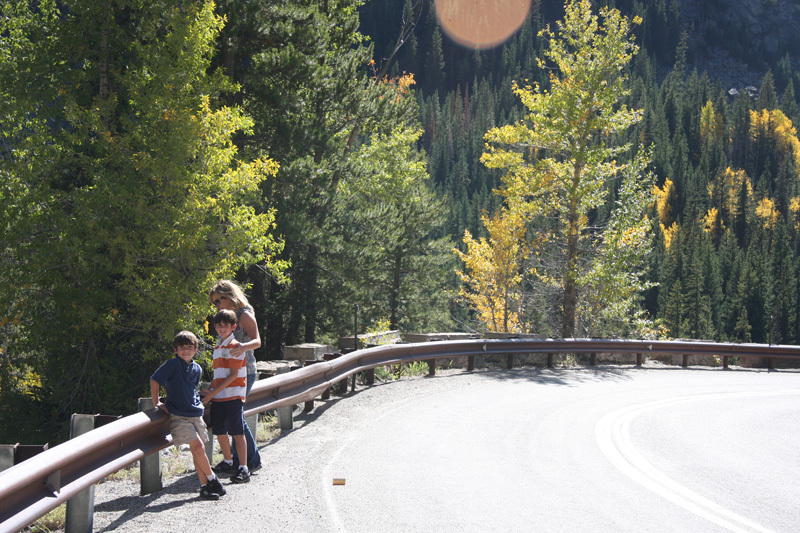 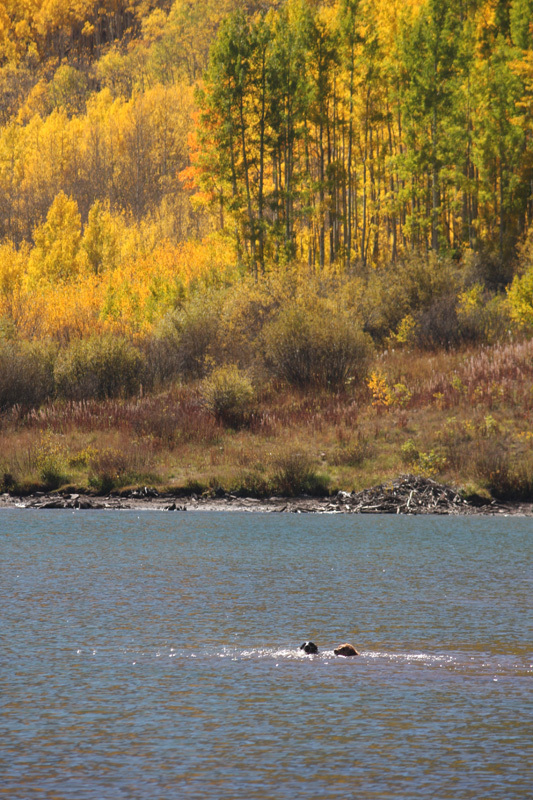 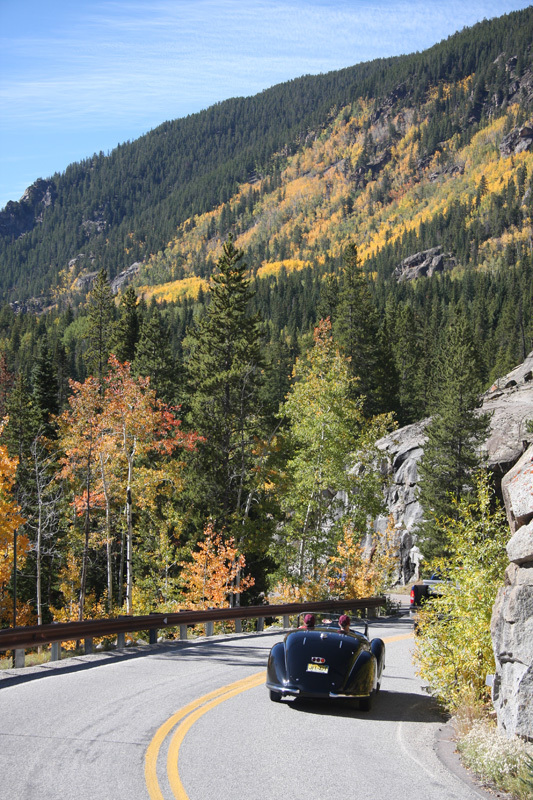 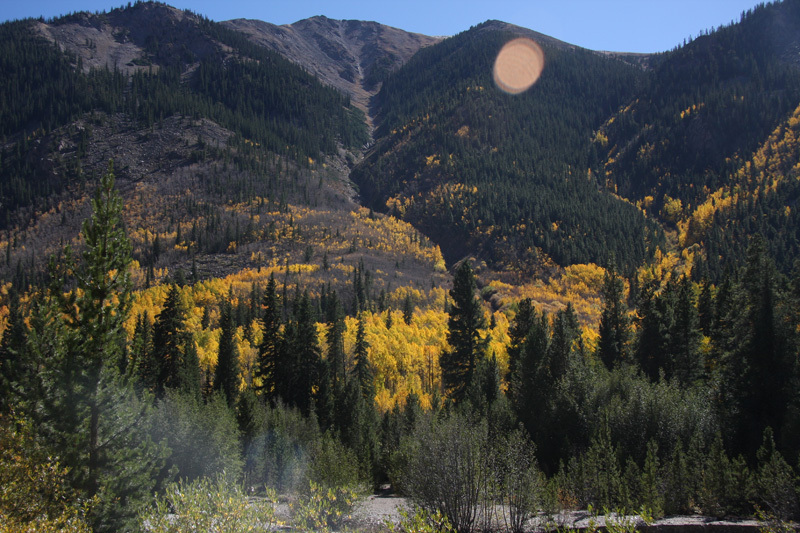 Kenosha pass was past peak color, but Independence pass looked great as the images below testify. 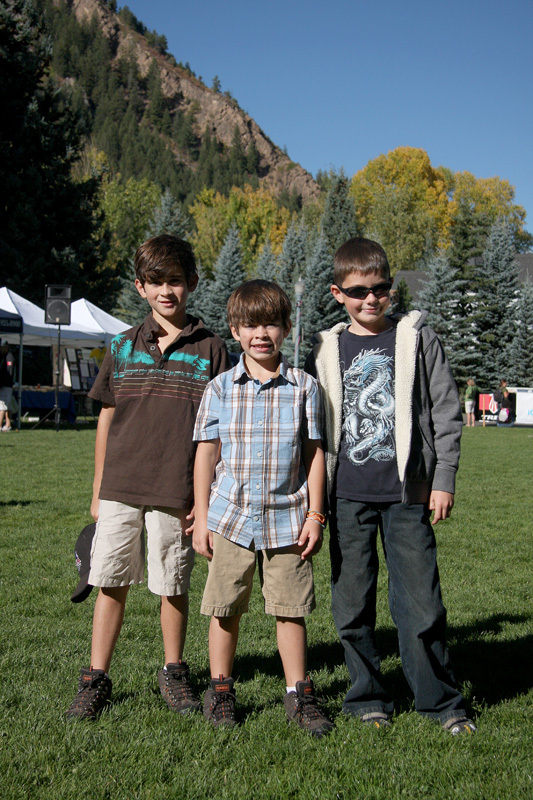 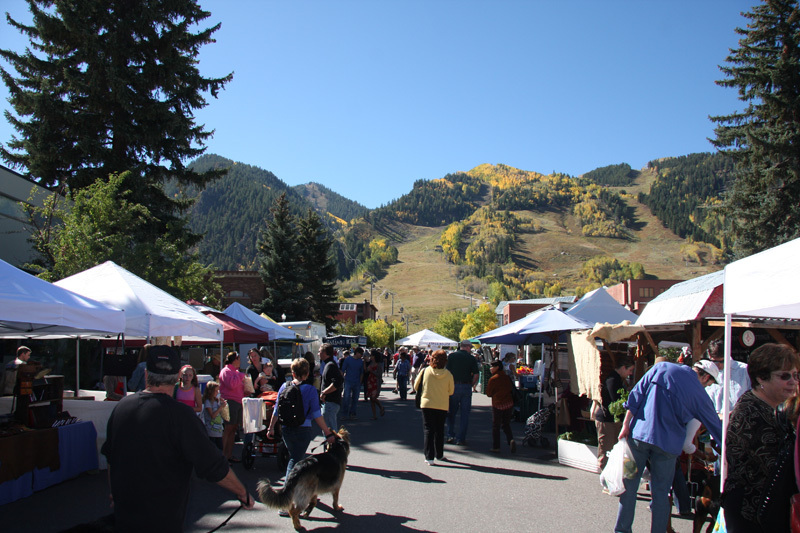 During the summer and fall the streets and parks are alive with a spirited atmosphere. 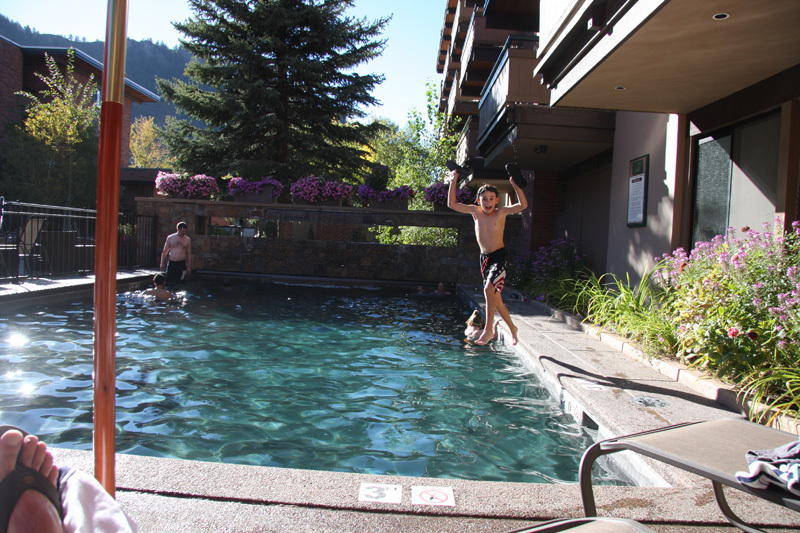 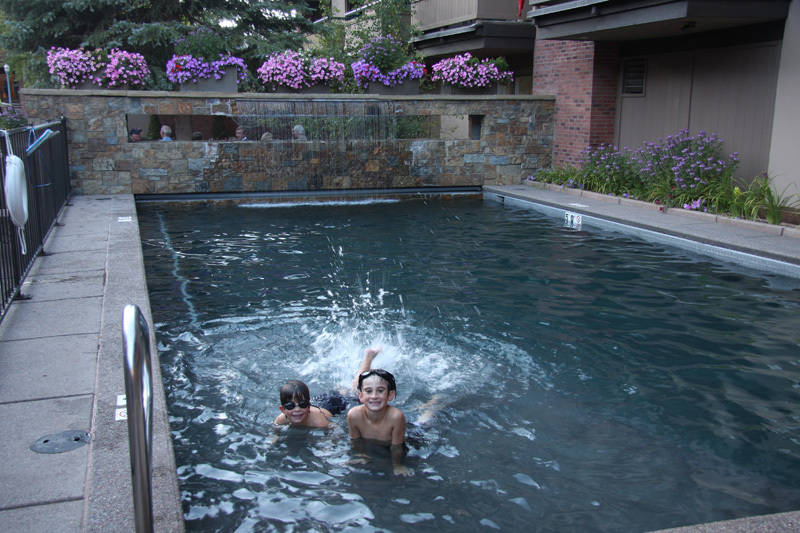 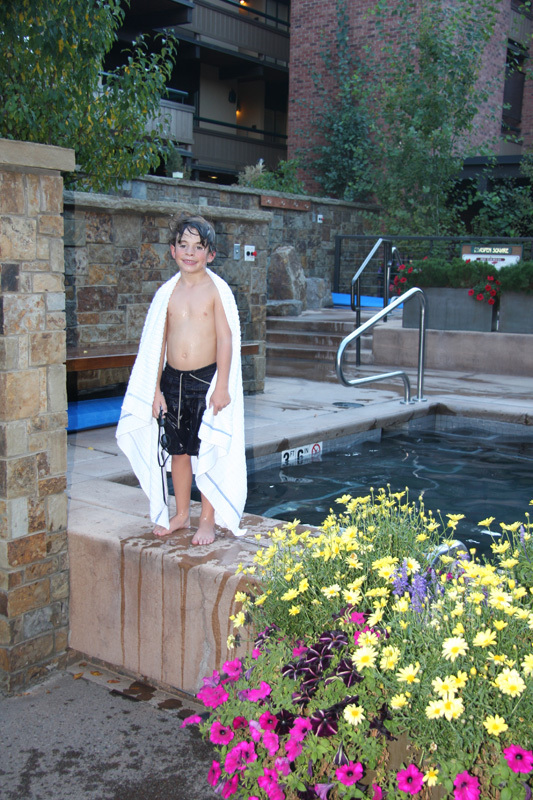 Instead of our usual stay at the Gant, we stayed at Aspen Square Condominiums where the boys enjoyed frequent sessions at the pool. 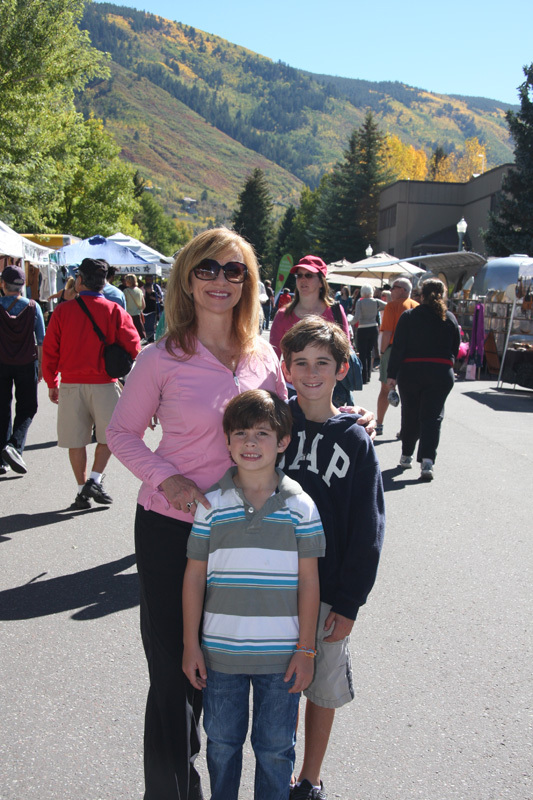 On our first morning we explored the town including the farmers market. 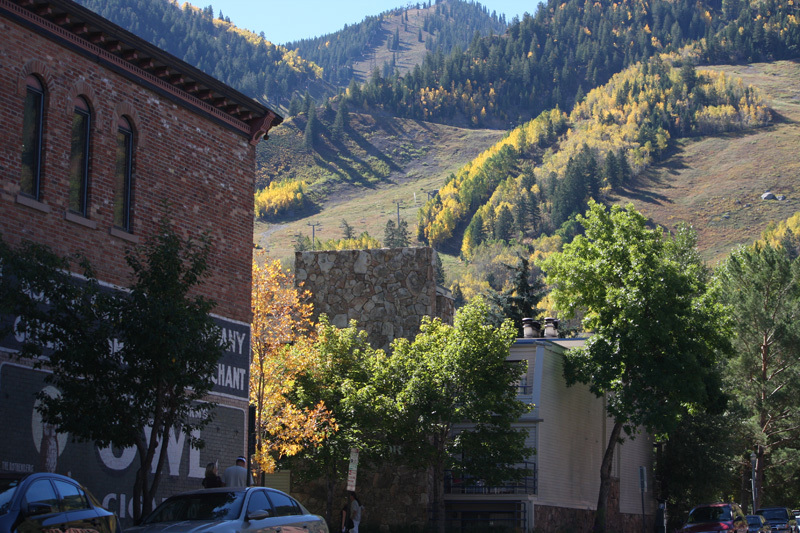 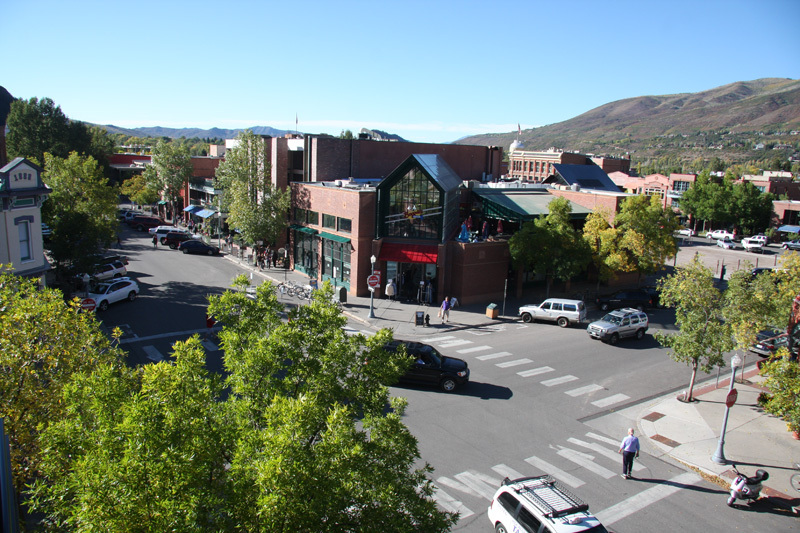 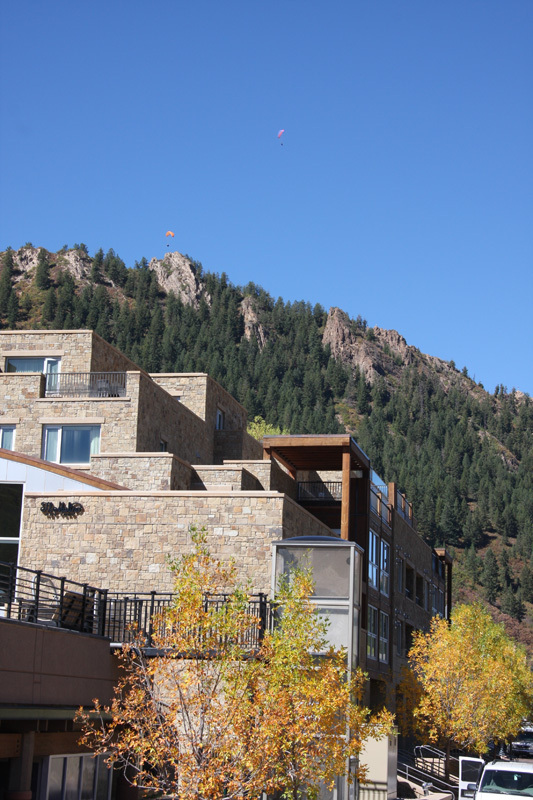 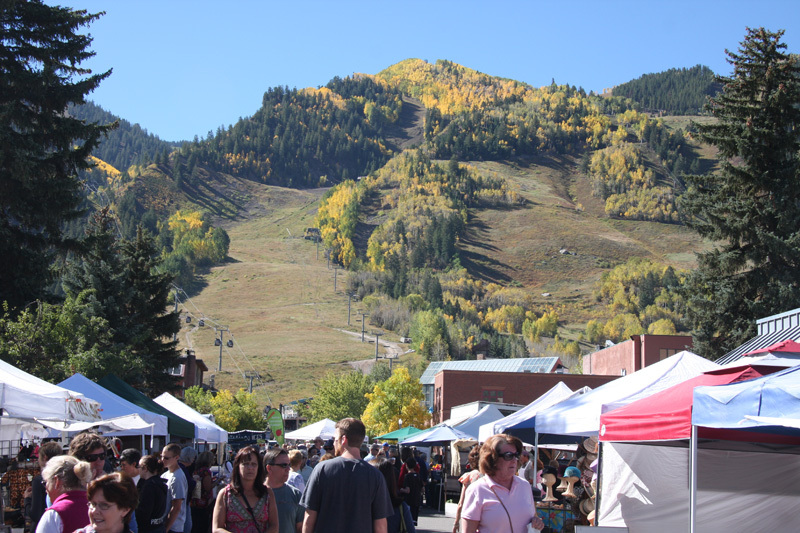 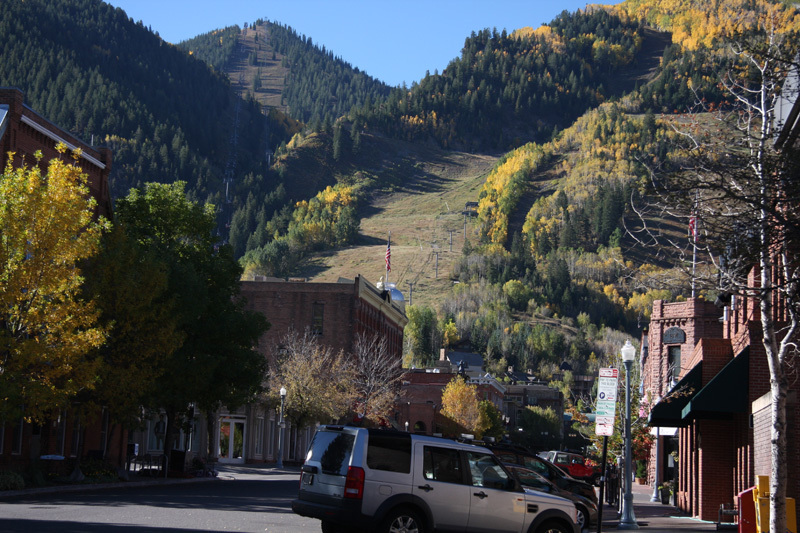 Despite the famed ski resort status, Aspen has a classic and authentic small town feel and atmosphere. 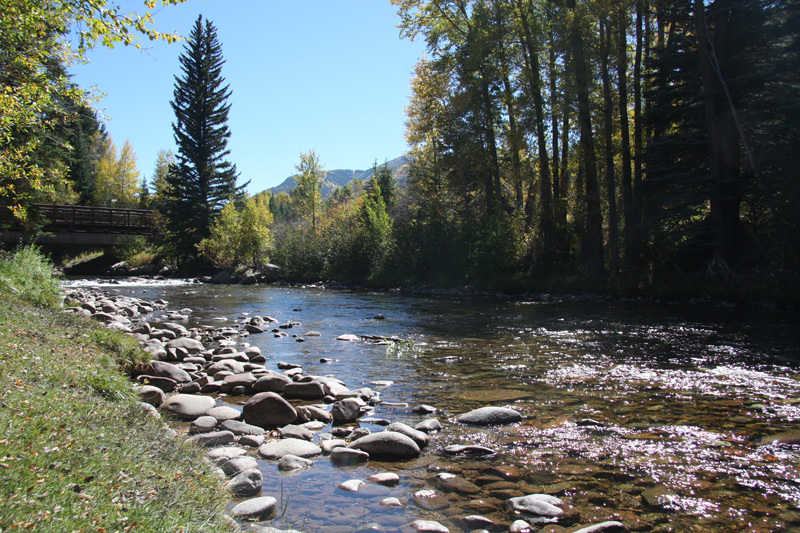 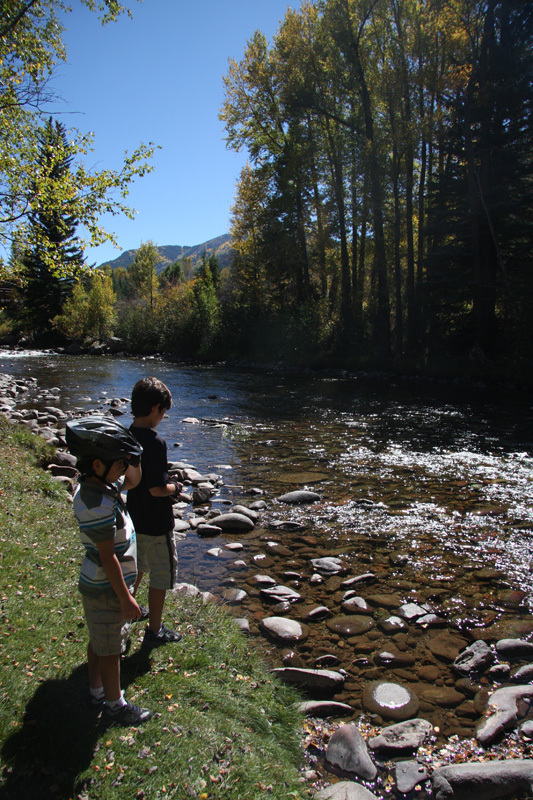 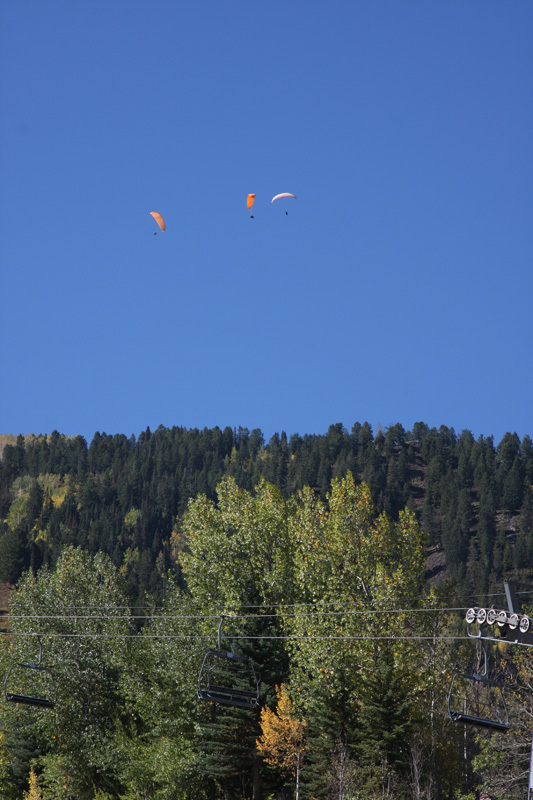 Later we mounted our bikes and went for a long ride to Woody Creek, a small town west of Aspen, riding along the Roaring Fork River on a beautiful biking and running trail. 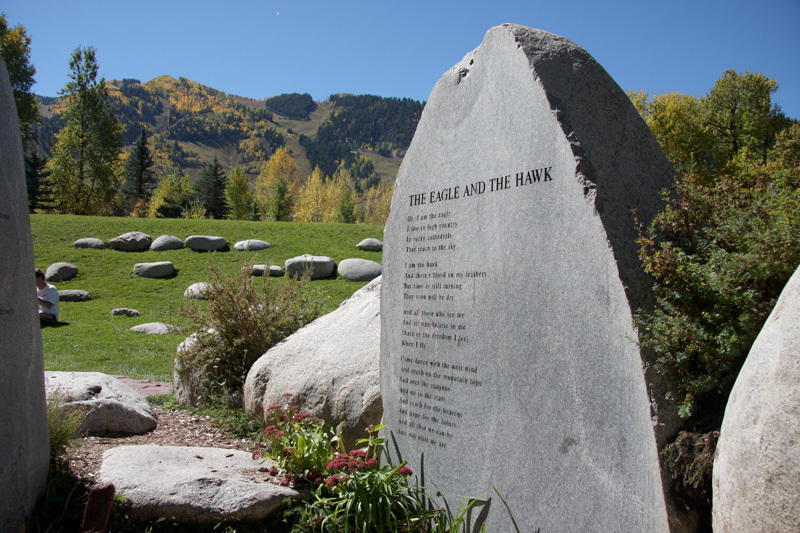 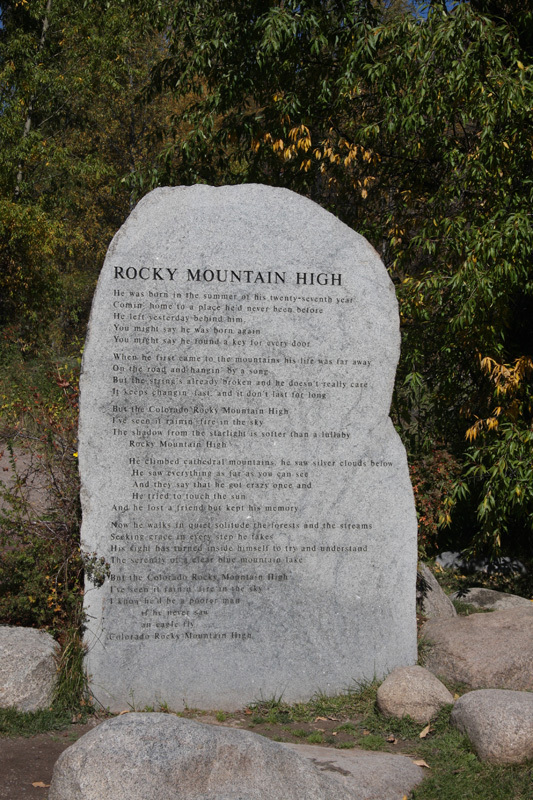 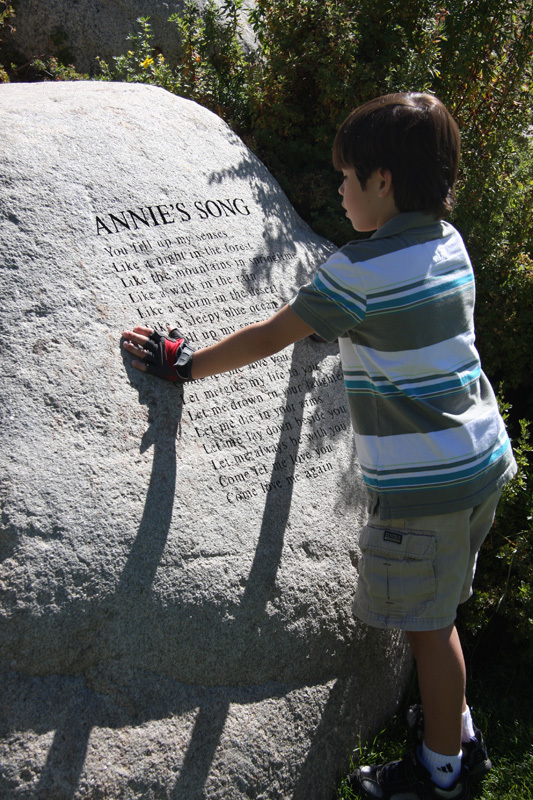 Along the way we visited the John Denver Sanctuary which honors the famous singer songwriter who made his home in Aspen and derived many of his song inspirations from the Colorado mountains. 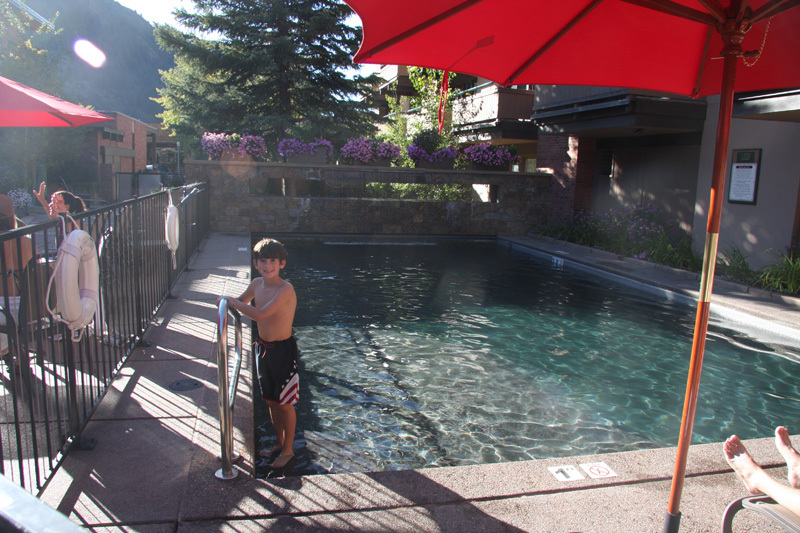 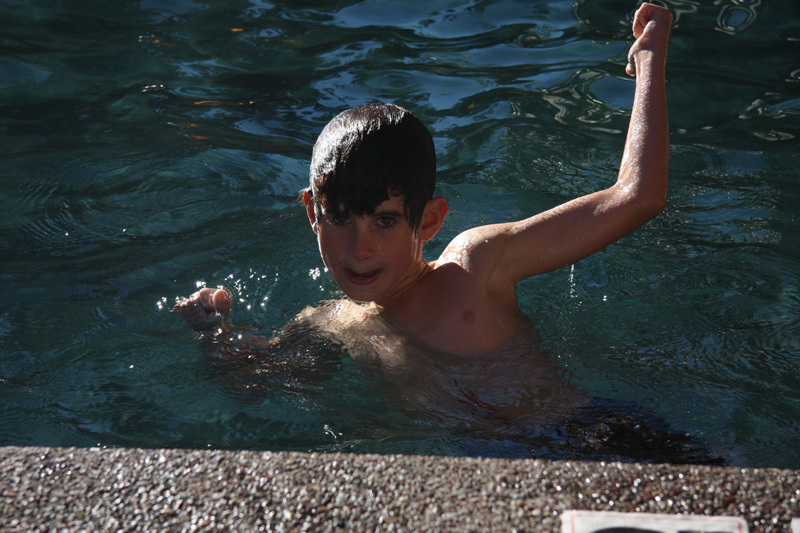 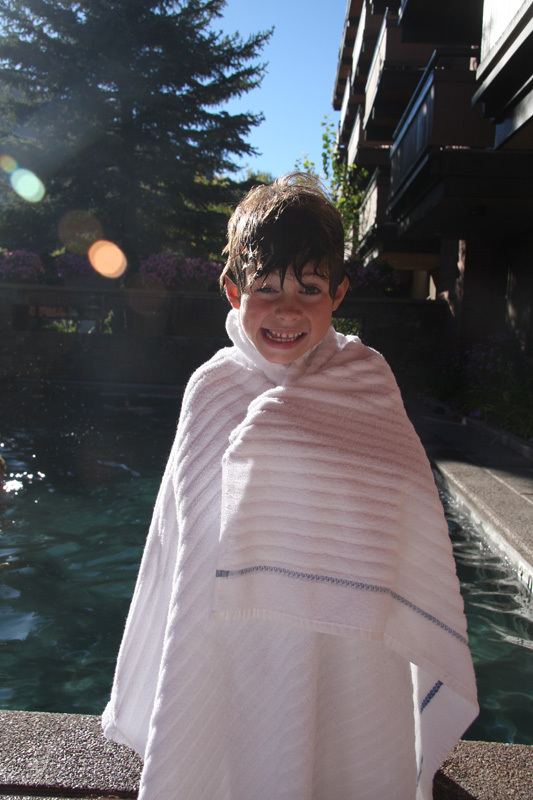 After the long bike ride, the kids enjoyed some late afternoon time at the swimming pool. 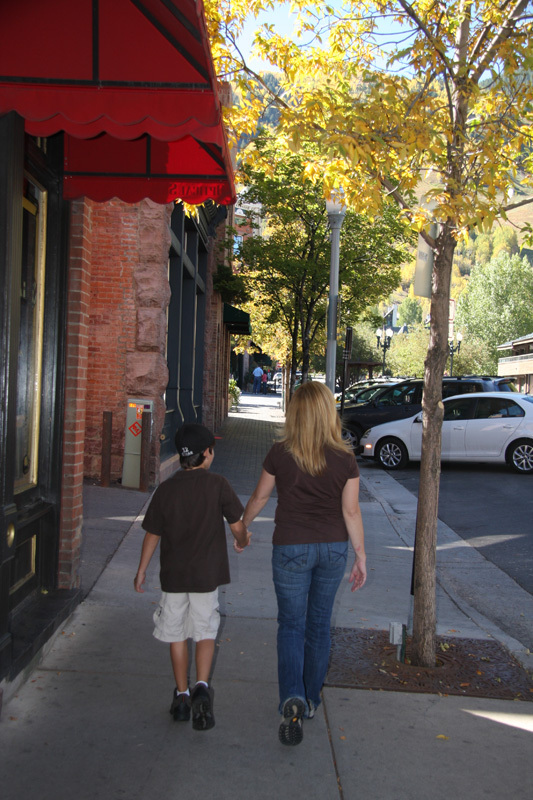 The next day we met up with our neighbors, the Halls. 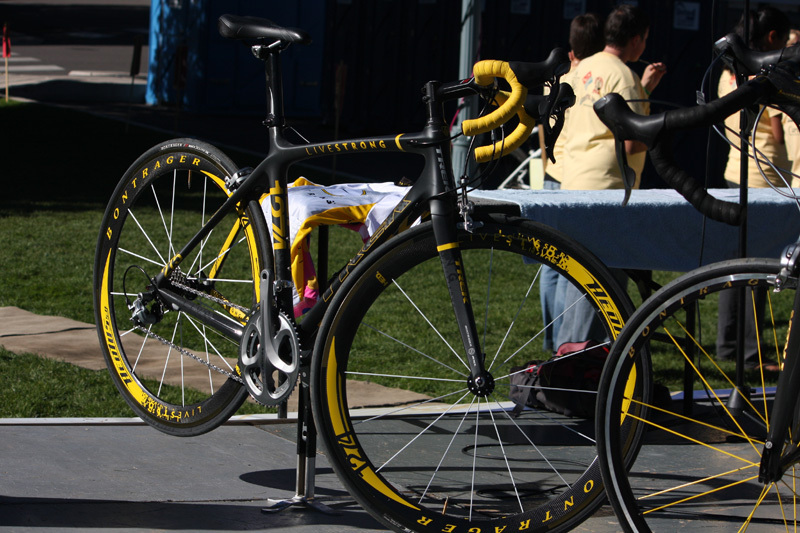 Geoff had brought his road bike and after finding out that Lance Armstrong was going to be riding in a charity cycling event raising money for children's cancer he entered the event. 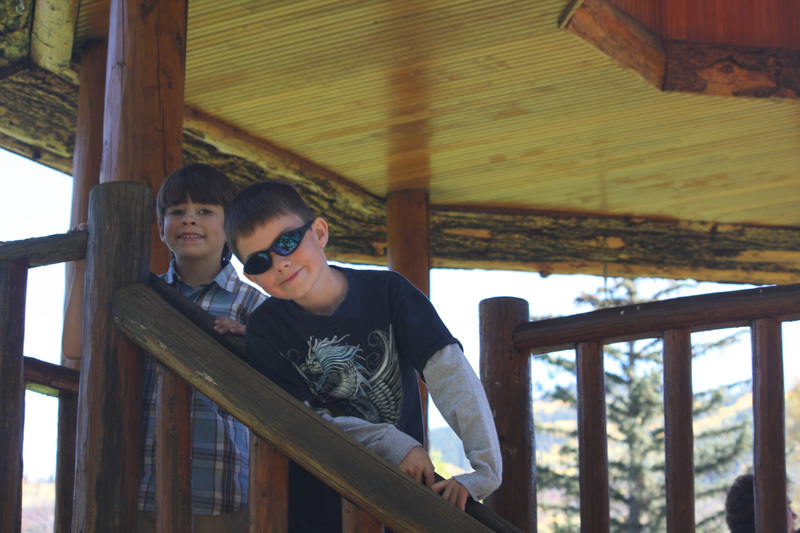 So we headed to Paecpke Park where the kids played while we waited for Geoff and Lance to return from the ride. 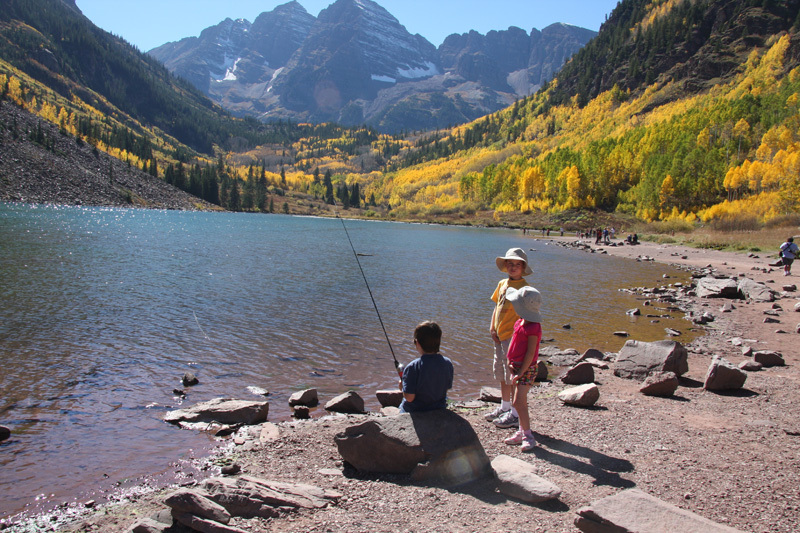 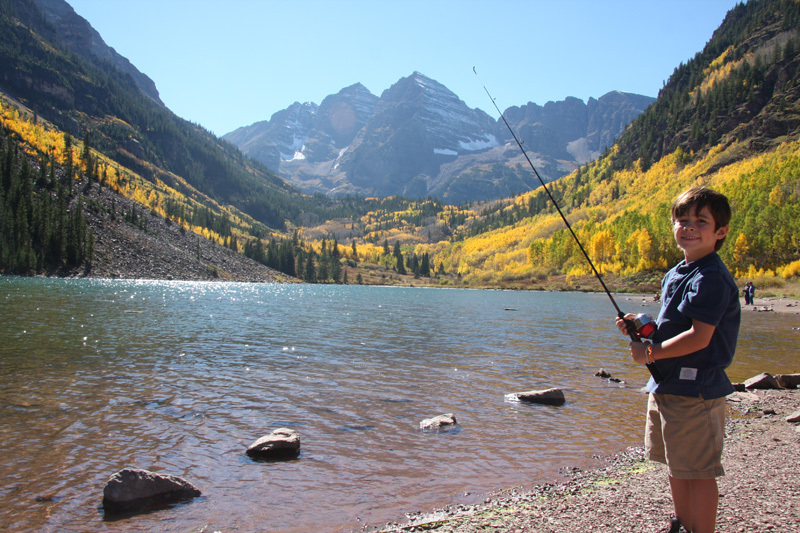 Finally, no trip to Aspen can be complete without visiting the spectacular Maroon Bells. 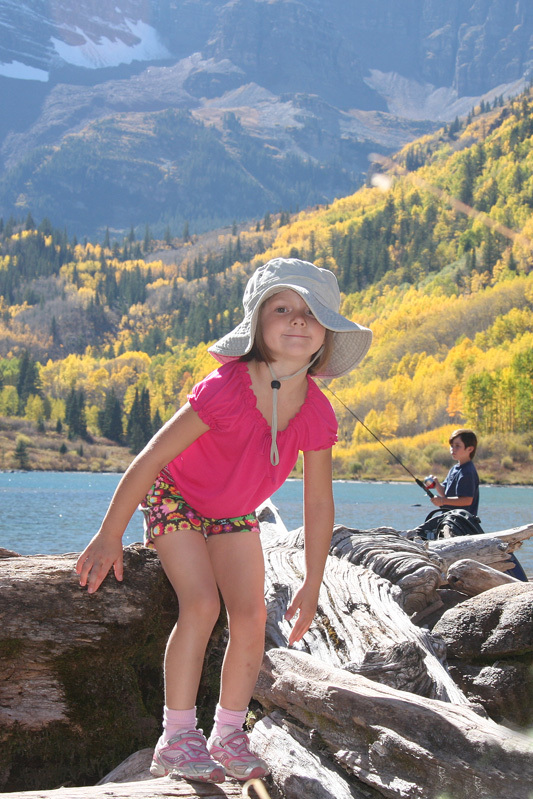 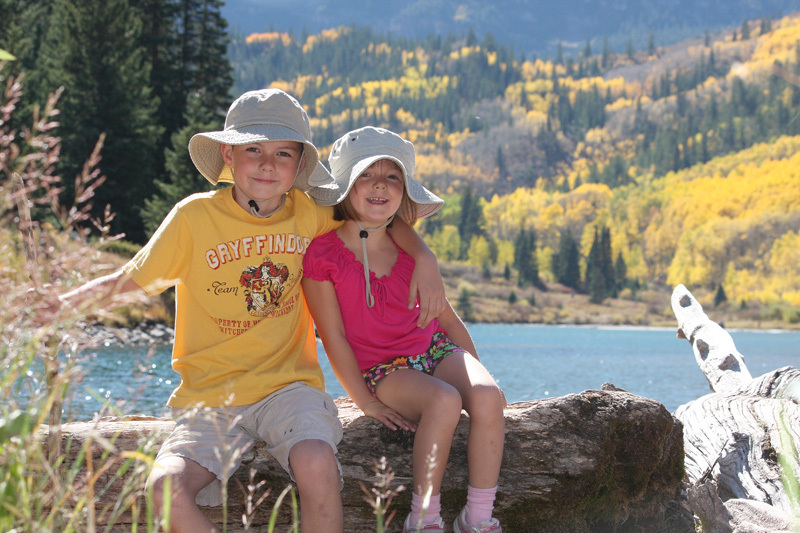 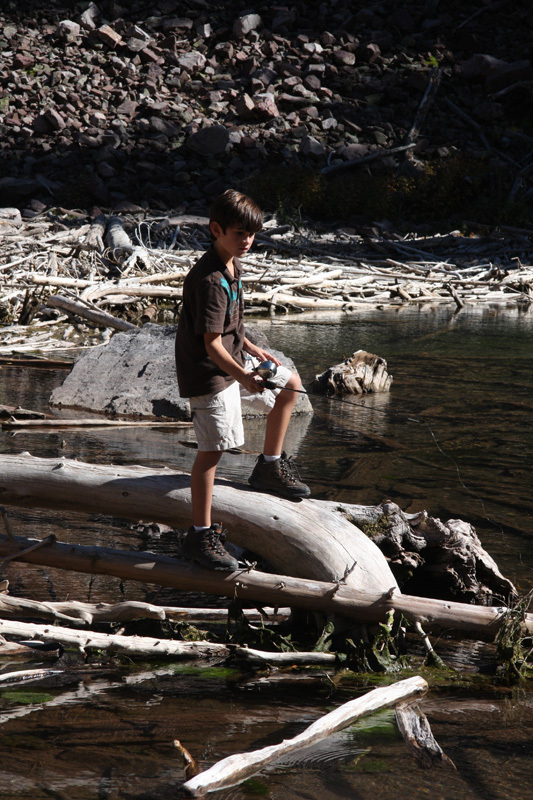 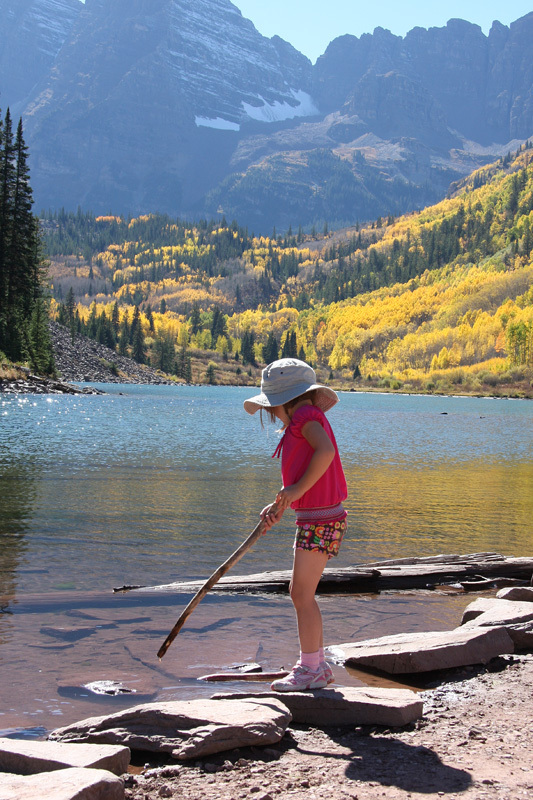 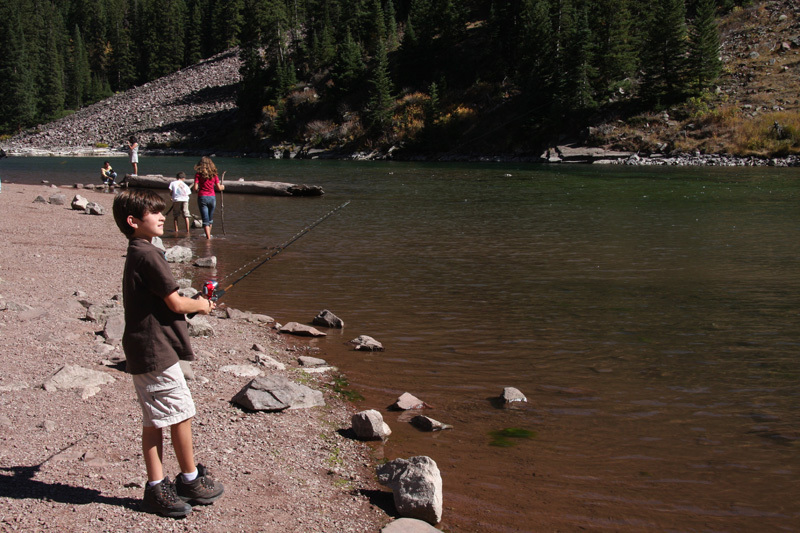 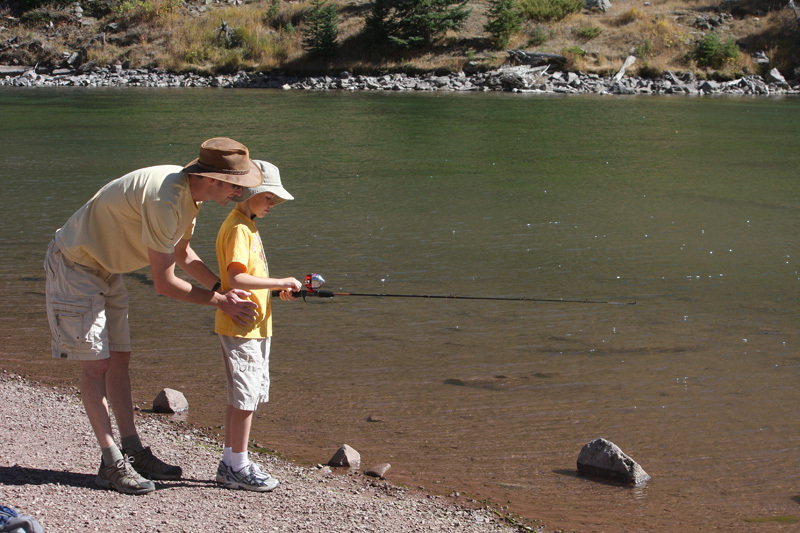 We didn't have time to do a big hike this year so we just hung out at Maroon lake while the kids played and fished. 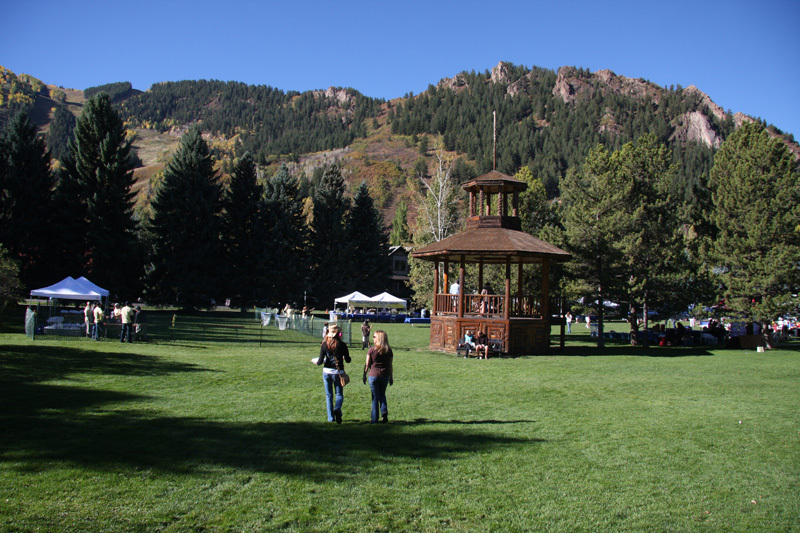 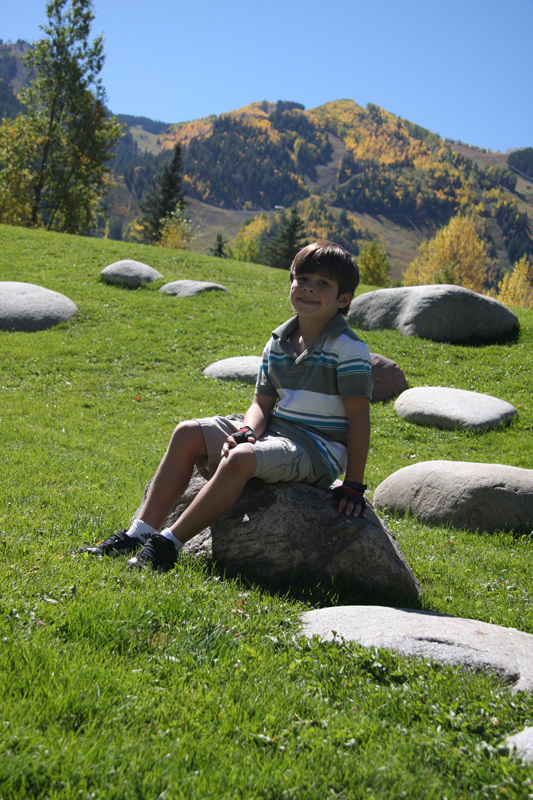 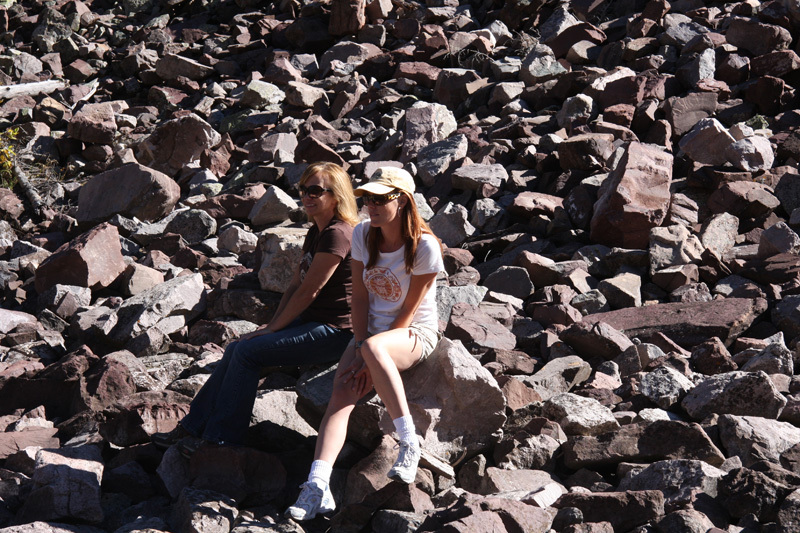 To see more Maroon Bell area pictures including a hike to higher elevation see our Aspen visit in 2008.